The PMAG 30 AK/AKM GEN M3 is a durable, lightweight, high reliability 30-round polymer magazine designed for Kalashnikov pattern rifles in 7.62x39mm (AK-47, AKM, AKS, SIG556R, and others.) 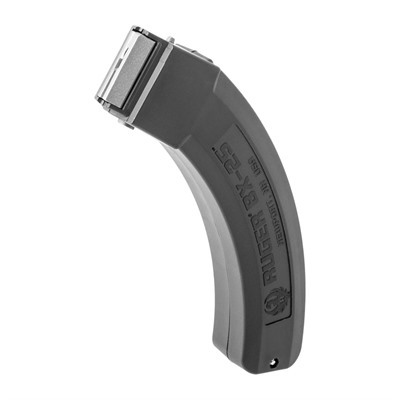 It features STEEL REINFORCED LOCKING-LUGS, removable floorplate, constant curve geometry, and a high-reliability/low-friction follower for the performance and military-grade durability you expect from a PMAG. The anti-tilt, self-lubricating follower increases the reliability of the magazine along with a long life stainless steel spring. The body of the magazine has a ribbed gripping surface with aggressive front and rear texture to aid in magazine handling. Another great feature is a flared floorplate to aid magazine handling and disassembly yet is slim enough for use with most pouches and chest rigs. Also uses a paint pen dot matrix on the bottom on the mag body to allow for identification marking. Magpul performance for your AK. Fits: Kalashnikov pattern rifles (AK-47, AKM, AKS), Caliber: 7.62x39mm, Capacity: 30-Round, Body Material: Polymer, follower: 4-Way Anti-Tilt, Spring: Stainless Steel, Floor plate: Polymer, Removable. This is for (1) 30 round magazine.